Unfortunately, many pharmaceutical medications, and prescription painkillers in particular, have severe side-effects, so why not take advantage of natural medicine? 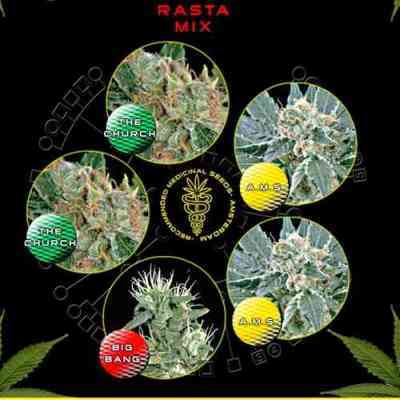 The Rasta Mix by Greenhouse Seeds is your chance to do so - they selected three medically valuable cannabis : A.M.S. (2x), Big Bang, The Church (2x).